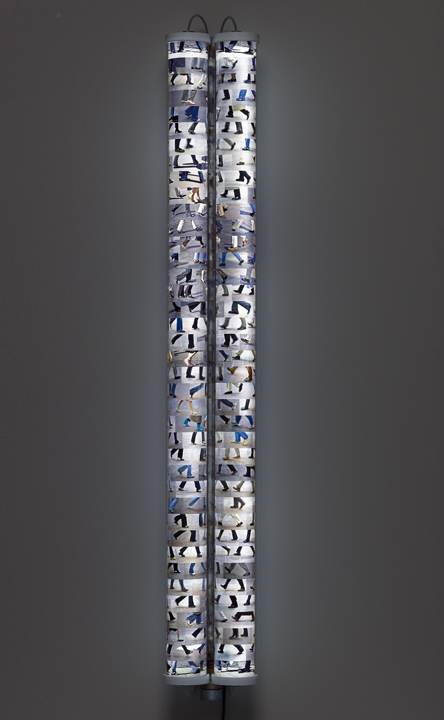 60.5" x 8.5" x 8.5"
Glass cylinders with images of different women’s feet (156) and men's feet (156) continuously move towards and past each another. Press, focuses on people’s shoes and their brisk gestures. 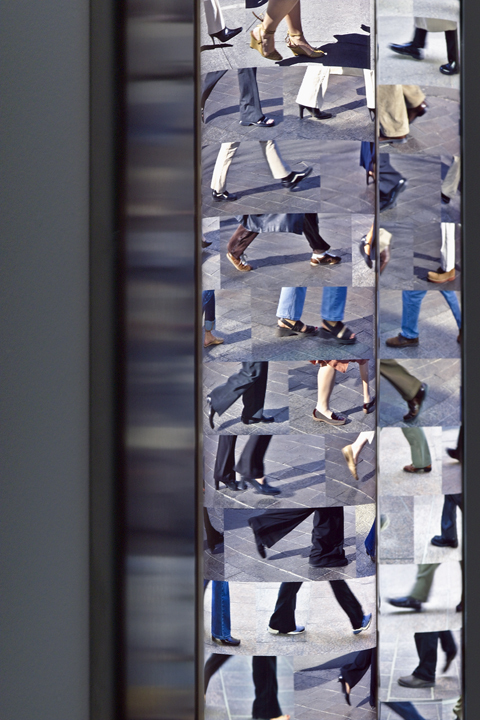 312 images rotate inside two glass cylinders depicting different men and women walking along city streets. The rotation of walking feet captures the moment as people pass each other when they are caught up by the speed of the city and have missed the opportunity to interact. The viewer’s attention is forever split by the two rotating cylinders and is caught in the space between this fleeting blur of images. This skewered gravity represents the pressurized reality of the public realm that Constant Motion explores and highlights: our constant drive towards connections that are left unfulfilled.